2009 will go down in the history books as a big year of change: President Obama, the incredible surge of local farm and food support, the debate on health care reform, to name just a few. But for me, on a professional and personal level, WOW, it has been a very big year. I took stock of the consequences of my leap of faith–leaving a secure, well-paid, and successful career in the Cardiac Rehab Center program that I created and managed for 20 years–and set my sights on developing HeartMatters, an optimal life management program. I left behind the medical model of disease management to focus on health management and primary disease prevention. What an expansive 12 months it has been! Little did I know that my passion for the work, although it would prove to be enough to keep me going, was insufficient in regards to building a business. I had and still have so much to learn about marketing (totally new experience), pricing (can’t be givin’ it away! ), setting limits (I want to help everyone! ), and just the daily grind of maintaining a business and business profile. I have felt exhilarated, terrified, grateful, worried, wise, and overwhelmed at various times this past year. So many people have helped and supported me: in addition to my family, I have met dozens of successful business professionals who have offered guidance and advice, and encouraged me to stretch to my full potential. What an honor that some of these wonderful people can now be called my friend. It is amazing to me to know of the incredibly rich world of compassionate and like-minded professionals in my own Nevada County, as well as on the planet. I have been able to get involved in local groups that are making a difference in the world, write articles that others find beneficial, participate in Toastmasters, join Facebook (my oh my, how I resisted that opportunity!) and Twitter (still figuring it out), create a bi-monthly online newsletter, and blog to my heart’s content. I even learned how to work on my website, a skill I never thought I would cultivate (Ok, wordpress makes it easy!). 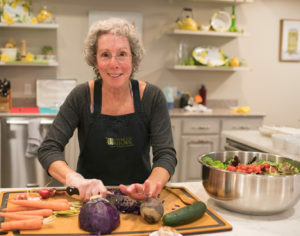 I truly feel that I have something special to share–a mix of enthusiasm, life-management coaching skills, clinical expertise, a genuine commitment to the planet which includes eating real food, and doing my part to minimize my use of resources. That others wish to be benefit from my knowledge is a blessing. To be able to motivate others to create change in their lives that will lead to their optimal health and well-being is a gift that I cherish and will promise to tend to each day. The best thing I did when I discovered I had Type 2 Diabetes was to call Robin Mallery. She coached me to craft a plan to turn this condition around, and the encouragement to believe that I can. Instead of feeling overwhelmed, I am managing well, using Robin’s program of small steps, achievable goals, and positive reinforcement. She’s not only a fountain of knowledge and experience, but a loving teacher and motivator. For the first time in years, I don’t feel helpless about eating and weight gain. Thank you, Robin!